Meet Martin Brudnizki: Britain’s best interior designer? In a sleepy corner of north London, they are building the world. 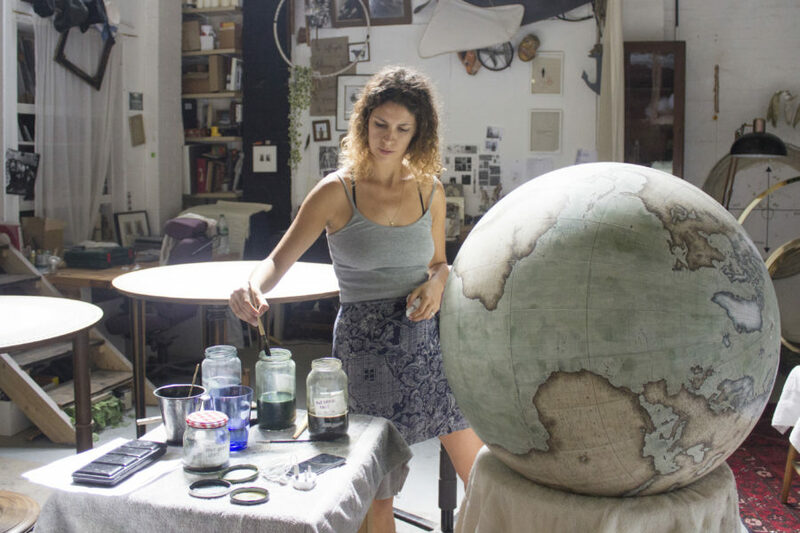 Bellerby & Co Globemakers, one of the last traditional British – if not international – globemakers, first set up shop when Peter Bellerby wanted to make his father a gift for his 80th birthday. A ‘naïve’ venture, Bellerby tells me, but one which nevertheless set spinning his passion for globe-craft. Today, a 15-strong team of artists, woodworkers and an engraver occupy a huge warehouse in Stoke Newington – a building bought when a particularly large globe wouldn’t fit through the door of their original premises. With a mezzanine level and large greenhouse windows, the space may be industrial – but antique patterned rugs and potted plants give the factory a ‘gentleman’s study’ feel, and the classic globes look considerably less conspicuous as a result. From tiny desktop models to the vast, 50-inch diameter ‘Churchill’, Bellerby & Co globes are all completely bespoke. And, with commissions booked in to the end of 2018, products at varying stages of completion are scattered about the workspace. Peter Bellerby shares what goes into crafting these pint-sized planets. 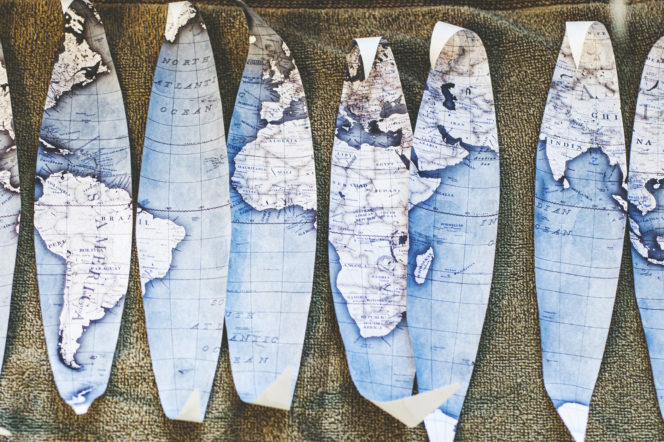 ‘The most exciting part about the whole process,’ says the globemaker, ‘is that we invented our own way of doing things. That means that every globe is not only made to order, but is also entirely unique. 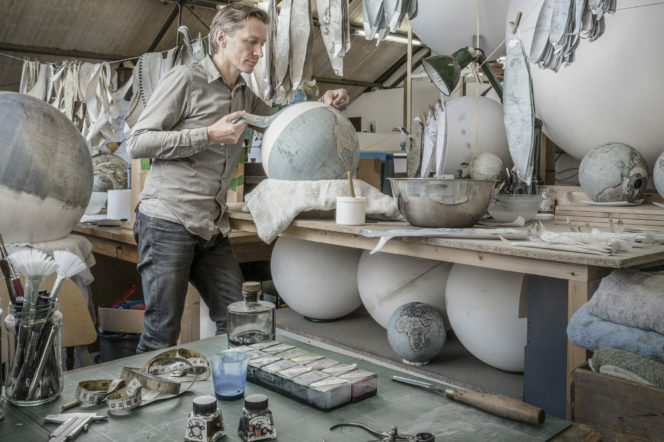 To create the basic structure, Bellerby reveals, the globemakers fashion a perfect sphere using two half-moulds. In the past, the globes were made using plaster of Paris. Today, however, fibreglass is used to create the larger globes, with resin constituting the smaller. After the cartography is updated and personalised to the customer’s preference, using a computer design program, the map is printed out and cut into precise oval-shaped strips called ‘gores’. 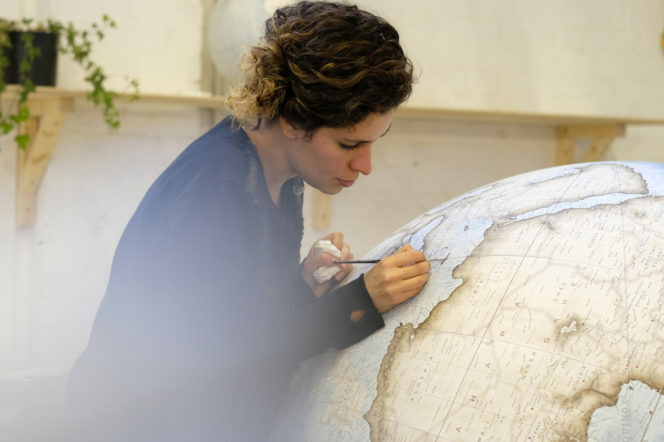 Each gore is painted by the team using watercolours, dried and then attached to the globe itself, in a precise process called ‘goring the globe’. 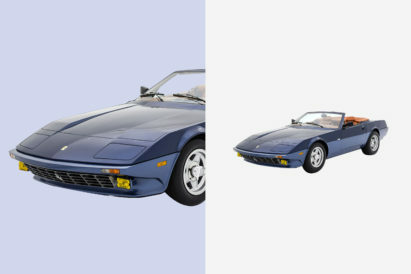 However, once this sticky process is completed, only final watercolour details are added before the whole globe is sealed with either a gloss or matte finish. 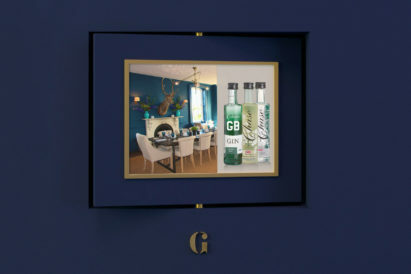 Brass arms and meridians – all hand-engraved and personalised with a commissioning mark – are fitted, and then the globe is placed into its base. And, with that, the globe is completed. 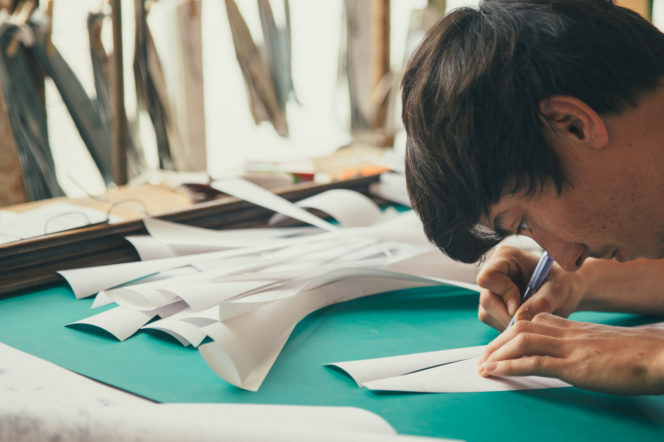 Taking between several weeks and six months to create, and with the potential for over 100 pieces of personalisation, Bellerby still says he gets a thrill helping a customer design their world, and filling it with stories of their lives and adventures. And, he adds, the craftsmen are glad to bring an old-fashioned charm and excitement back to maps, in a world of Google and smartphones.